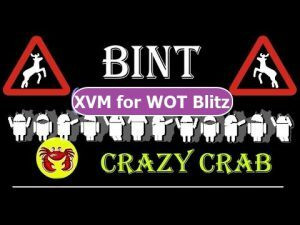 Cache for WoT Blitz 4.4 Android | WoT Blitz 5.9 - Fan Site! 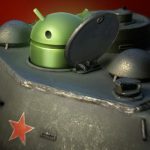 Mobile tanks WoT Blitz already out on Android device, but many tankers encountered a problem downloading the cache. Many tankers do not know why there is a cache and what it is, we will try to explain briefly. Cache – you need to complete the work of the game. 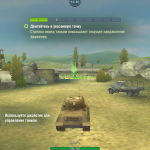 It contains textures tanks, maps, music, and other various folders and files, so there is a cache – a structure of any game. 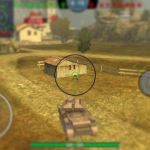 Without it, the launch of WoT Blitz simply not possible. 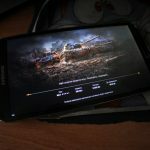 The game “World of Tanks Blitz” can not be in the form of one .apk file, because she would not have enough internal resources to the actual installation. – Connect your device or Micros SD card to your PC in a removable disk. – Disconnect the device from the PC. Run the .apk file, if you did everything right, the game will start. Perhaps the game will pass verification and downloaded some unique files. I want to ask one question about this article. 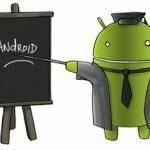 How about android simulator. Because i am using bluestacks in order to play WOTB but it doesn’t work because of cache. How to know my bluestacks’s appropriate cache? I am unable to install the cache on my Memo Pad HD 7 tablet(intel chipset).It keeps saying that i need more space to run the game.I did all the steps specifically as you said.Please help me! Which cache do I use for an Intel Atom based tablet? Thanks for this, hope you always upload every update. just a question, do we need to extract it after we downloaded or we put it directly to the data folder? do u need to modify any files in the dlc_working_dir? Same problem here…Can’t fix it. If I managed to install this; Will this be able to fix the “World of Tanks has crashed” error like when you open the new 2.4 WoT a black screen will appear when you try to open it and it will say that “error”. Please update cache zips. Game downloads the pacth, I see it in folder ,50mb patch file, but cannot install the sources, gives this error. Thanks for 2.4 cache. I was able to play with that installation :), but now I need updated cache. My phone has powervr gpu. Thanks. Thanks for the apk file. I stopped process and deleted cache from old updated 2.6.0 Blitz from Google Play store. Then I installed base.apk from link here and all works fine, game updated. Thanks guys for fast upload of v2.6. I have no idea why can’t download on my home wifi – everything ok (on Droid4x works the update, on same network)- and after the cache copy the game will working fine on tablets. how to install update patch its 112mb only how to int=stall it???? how to install 2.6 update patch. its only 112mb..how to install it?? I am using xperia z2 and Motorola x force(droid) but update 2.9 is not working while installing 1500mb data I keep waiting that this time it will work but in the end it says error in unpacking resource please try again… I have tried more then 10 times but in Asia region it’s not working please help. 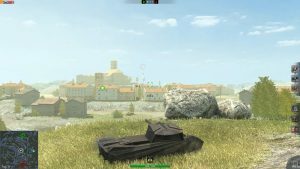 plzz upload the cache for Mali-400 of world of tanks data version 2.10 and fast pls hope u will upload as soon as u read this msg…!!! Thnx for uploading cache for Mali-400 and that too fast. Thnx a lot and keep on updating caches for all lastest versions that will release in future !! pls update ur versions regularly after every update’s arrival…for eg v3.2 arrived but still the link is of 3.0…update it fast…I will be waiting…!!!! Please add PowerVR GPU thank you for your work. Wht are u doing…u are a WG team…still the same cache it’s 3.3 not 3.0 update going over… update the cache too… while updating ur page… now it’s the time of 3.4 hope u will definitely update the cache this time and also maintain it…in the future…!! Yeah I finally got another site that updates is cache after every update !! And I am posting this site Becoz I think their might be someone like me who may not getting caches, so enjoy !!! !